Snorkeling on the Big Island of Hawaii is perhaps the best in the state, and many would say that snorkeling here may be the best in the country. The waters are clearer and calmer here than the other Hawaiian islands, and there are several excellent Big Island snorkeling sites. There are tons of tropical fish and marine life to be discovered in these clear blue waters—it can be a bit like having your own natural aquarium! So if you are thinking about snorkeling on the Big Island, read on. We’ll give our advice on the top Big Island snorkeling sites, discuss the pros and cons of doing it on your own versus going on a boat tour, provide tips about where to get your snorkeling gear, and share our own experiences snorkeling on the Big Island. While everyone has their favorite snorkeling spots, we would venture to guess that the following three are in most people’s top 5 Big Island snorkeling spots: Kealakekua Bay, Kahaluu Beach, and Honaunau Bay. We’ll tell you why we think each one is a prime spot, how to get there, and provide other tips about how you can make the best of your snorkeling experience at each location. Why? Kealakekua Bay is one of the best Big Island snorkeling sites with calm, clear waters, tons of coral, schools of tropical fish, and frequent visits by pods of spinner dolphins. While the water is quite shallow near the shore, the ocean floor suddenly drops hundreds of feet into a great dark blue abyss that is quite fascinating to see. But for the best marine life viewing stay in the shallower waters. In addition to being a top snorkeling site, the spot is an important historical location as it was where Captain James Cook landed on Hawaii and was later killed by the native Hawaiians. 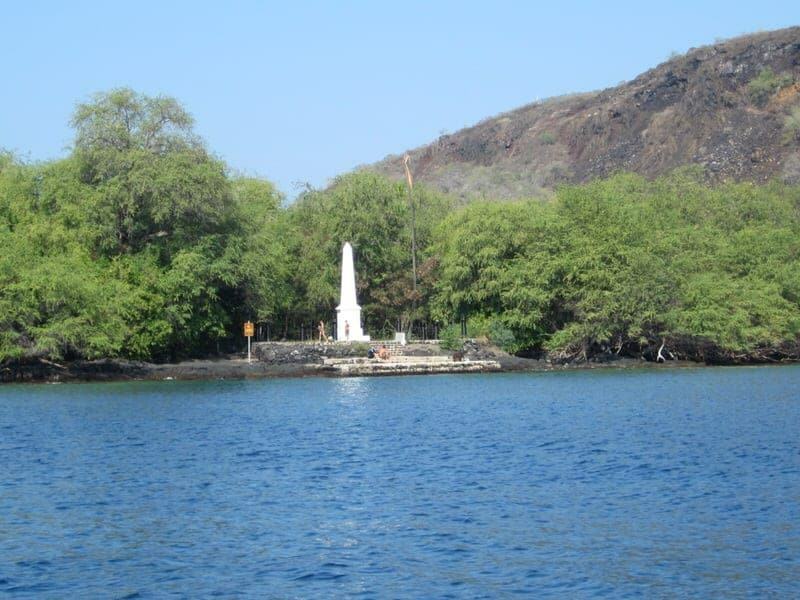 There is a white obelisk monument memorializing his death here (I believe the monument actually belongs to the United Kingdom), and serves as a good marker as the snorkeling is great near the monument. On the other side of the bay is the site of the sacred temple, Hikiau heiau, dedicated to the Hawaiian god Lono. 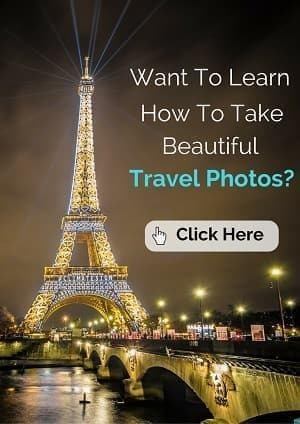 How to Get Here? Kealakekua Bay is located about 12 miles south of Kailua-Kona. 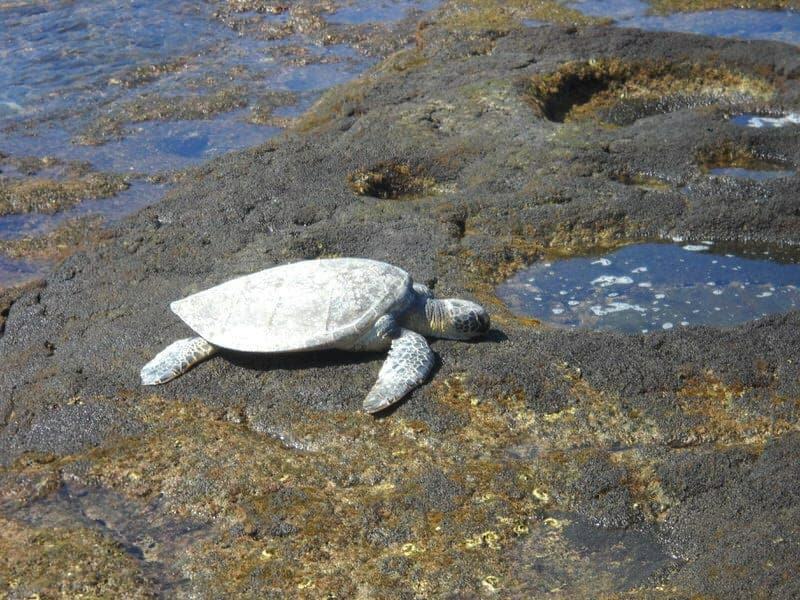 It is part of Kealakekua Bay State Historical Park and is a designated Marine Life Conservation District. There has been a lot of recent changes concerning what is permitted here as far as entry and landings, so it is best to check with the Hawaii State Park Services before your trip. The easiest and most eco-friendly way to visit this site is to do so as part of a guided boat or kayaking tour (currently only three kayaking companies have permission to lead guided tours here). You may also kayak or canoe here independently, but to actually bring your vessel ashore you need a permit and must comply with the landing area restrictions. The area is not accessible by car, but you can also hike to the Captain Cook monument down the side of Kealakekua’s Bay rock cliff walls, from the top of Napo’opo’o Road. It’s about a 2.5 mile trek from the main road and takes about an hour. However, as noted, if you want to actually snorkel here, you should either obtain a permit for your rented vessel or take a guided tour. The snorkeling is best here, as in most places on this side of the Big Island, in the morning as it can be cloudy and overcast in the afternoons. Stay close to the monument for the best snorkeling and avoid standing as you’ll damage the fragile coral. If you decide to take a kayaking tour, make sure the company actually has permission to do tours in this bay (see section on guided tours later in the article for the list). If you decide to strike it out on your own by kayak or other vessel, please plan ahead to obtain a permit, the permits are free but are not instant and are limited in quantity. You can check out requirements here and apply for a landing permit here. If you decided to hike around, the Kealakekua Bay State Historical Park offers public restrooms, and picnic areas. Why? 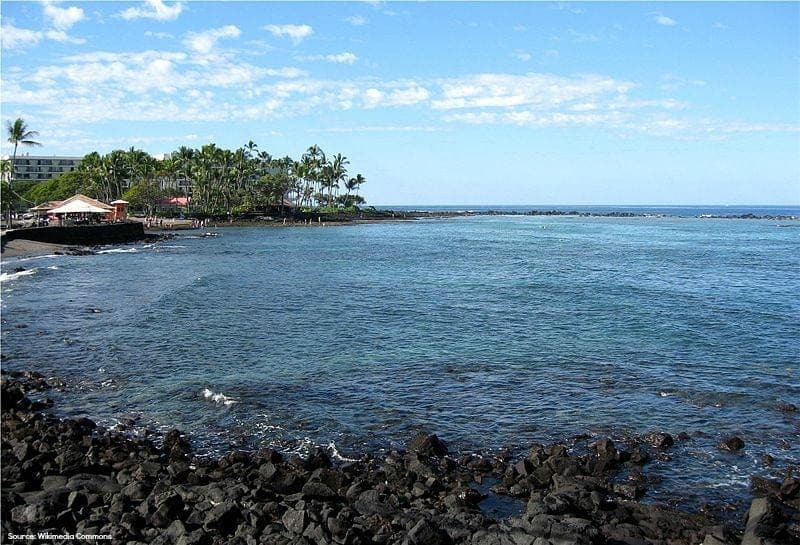 The great sea life, calm waters, easy shore access, convenient location (located just 5 miles south of Kailua Kona), and great public facilities make Kahalu’u Beach a top Big Island snorkeling spot. The cove is almost completed protected by a submerged rock wall that makes for calmer waters and the water here is fairly shallow, making it a great spot for first time snorkelers. Despite being a popular place for snorkeling and surfing, the fish seem pretty tame here and your chances of spotting a sea turtle are good. There is also generally a lifeguard on duty here, making it a great place to bring kids. How to Get Here? This place is best visited by car, and there is no need for a guided tour here. There is a public parking lot for Kahalu’u Beach Park, right off Alii Drive near the 5 mile marker. While free to park, it is best to arrive early to ensure you get a spot. If the parking lot is full, you can also try to find parking alongside Alii drive. Go in the morning for best weather and viewing. The water here is quite shallow in most places so be careful not to stand on the coral as just grazing it can be quite damaging. Kahaluu Beach Park has restrooms, showers, picnic tables, and two large pavilions. There are also food vendors and a rental gear truck that can provide snorkeling, boogie boarding, and surfing gear and while better prices can be found elsewhere it is very convenient. There are several spots you can enter the water, but for the easiest entry and exit look for a sandy spot. Watch where others are entering or ask the lifeguard for best entry point tips. It’s also one of the few beaches with a lifeguard on duty. Try to stay within the protected cove as rip currents can be quite strong outside this area. Sea turtles are common here so enjoy their beauty, but as with all marine creatures, give them their space and please don’t touch! Also while you may see people feeding the fish, don’t do this yourself as it is a practice that is greatly frowned upon. This is one of the most popular and most convenient places for snorkeling so watch out for others as it can be quite crowded. If you get there early, you’ll be rewarded with lots of great snorkeling space. Why? Easy access, lots of sea life, and a good place to spot turtles and spinner dolphins. In addition to being a prime Big Island snorkeling spot, it is also an important historical spot and was a Place of Refuge in ancient times. There is easy water access from the black lava rocks at a place termed “Two-Step” by the locals as the worn lava rock resembles steps down into the water. This is where you’ll see the majority of people entering and exiting the water. How to Get Here? You can visit this site as part of a boat tour or independently by car (we’ve done both). This snorkeling spot is about 20 minutes south of Kailua-Kona. located at Honaunau Bay near the entry to the Pu`uhonua O Hōnaunau Historic State Park. There is no parking lot for Honaunau Bay so you’ll need to park on the street along the beach road or on the shoulder. Be courteous and don’t block any of the residences or you may get towed. 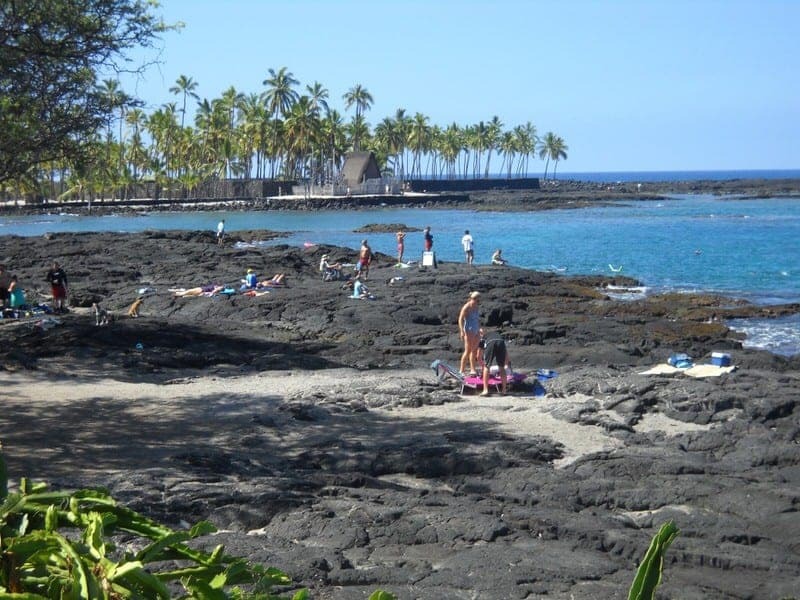 If you are planning to visit the Puuhonua O Honaunau Historic State Park before or after you snorkel you can pay the entrance fee ($5 per car) and park there and then it’s just a short walk from the parking lot. Go in the morning for best viewing conditions and fewer crowds. I highly recommend allocating an hour to visit the adjacent Pu`uhonua O Hōnaunau Historic State Park. There are some picnic tables and grills near the beach and we were told that there are also portable bathrooms nearby. However, we did not see any showers, gear rental, or food vendors so plan accordingly. This place can get a bit crowded, especially near the entry/exit “Two Step” spot, and it may seem like a good idea to move further along the bay, but don’t do this. 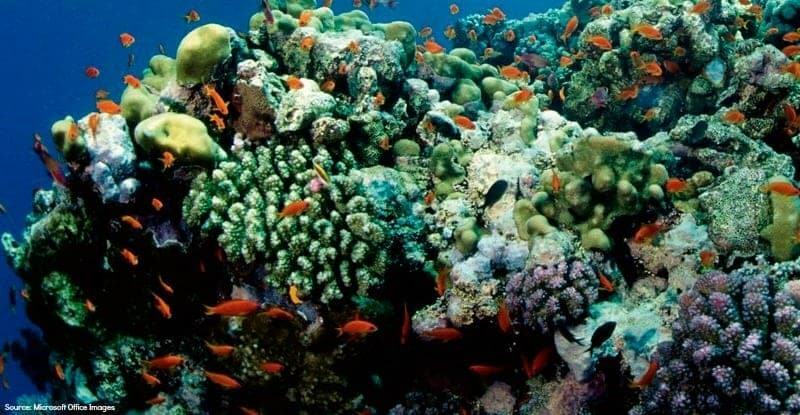 Not only is access more difficult, but you may harm protected marine life. Just wait your turn and once you’re in the water there is plenty of space for everyone to enjoy the great snorkeling. Sea turtles and spinner dolphins can be common here and if you are lucky enough to share the waters with them, please give them their space. Unfortunately, locals bring their dogs here to swim as well and this can scare away a lot of the marine life. It was also terrifying for me to hear a splashing animal approaching me while snorkeling—I was quite relieved to find it was just a dog! The above places are three of the best (in our opinion) snorkeling sites on the Big Island when factoring in both viewing conditions and convenience, but there are a number of other great places to snorkel, particularly on the west side of the island. 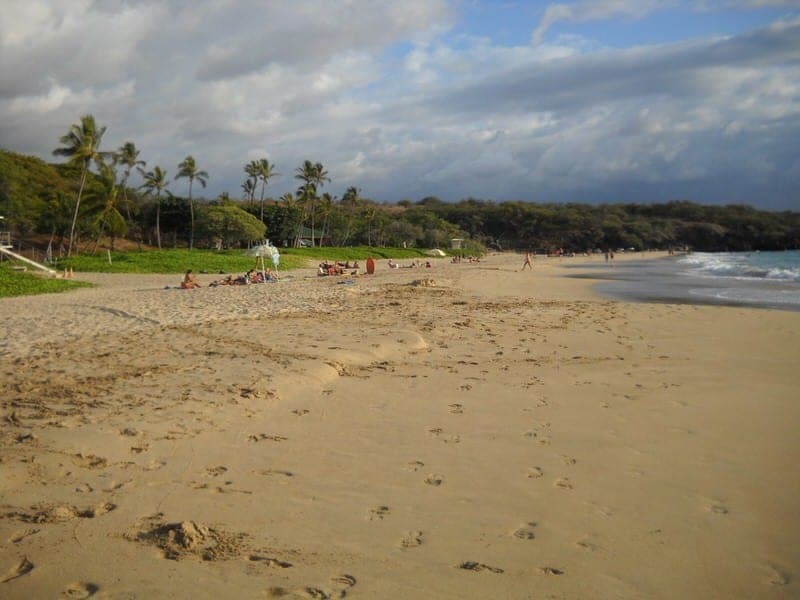 I would begin with the above and then if you still haven’t snorkeled yourself out, you might try some other spots such as Puako Bay (more popular as a diving spot, but also great snorkeling), Pawai Bay, around Hapuna Beach, and Kauna’oa Beach (a.k.a. Mauna Kea Beach). While there is also great underwater life on the east side of the island (Punalu’u is a prime spot to see turtles), the water is less calm and more cloudy as there is a lot of stream run-off. Be very careful, especially at more secluded spots, as currents can be quite strong. If the water looks rough you should probably find another snorkeling spot or try back another time. Locals and snorkel gear owners are great sources of information about the best spots and where conditions are currently best. Snorkel Independently or Take a Guided Boat or Kayaking Tour? In making this decision, I would consider where you want to snorkel and whether you have snorkeled before. If you are not particular about where you go and have experience snorkeling, the Big Island has a lot of places where you can find easy access to snorkel. However, if you are wanting to snorkel at a place that is particularly difficult to access, such as Kealakekua Bay, it is much easier to take a guided tour. Ditto if you are interested in snorkeling at night—many companies offer night snorkeling tours to see the manta rays—as it’s much safer to do this with a tour than on your own. If you’ve never snorkeled before, I would recommend opting to go as part of a tour for the first time. 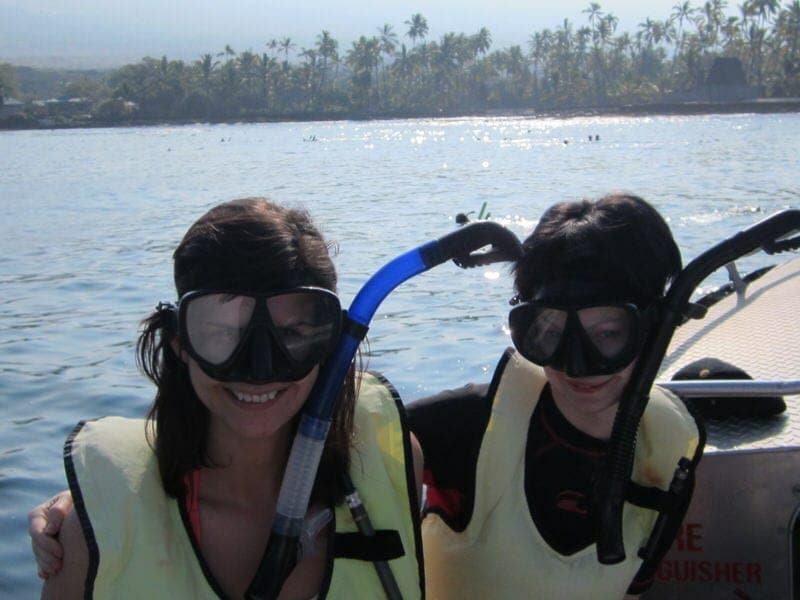 Ethan and I did a boat tour when we went snorkeling on the Big Island the first time and it just made everything easier, as they provide the snorkeling gear and snorkel vests, help you adjust your gear, take you directly to the sites, and entering the water from a boat provides the easiest access. Following the guided boat tour, Ethan and I then rented our own gear and ventured off on our own to a few other snorkeling sites later that week. But having the experience of going with the tour first made us feel more comfortable doing it alone. When a friend and I returned to the Big Island this past year, we did a boat tour again as it was her first time snorkeling and it really helped alleviate her fears about snorkeling for the first time. If you do decide to take a guided tour, there are a number of companies that provide various tours that include snorkeling. In general they provide all the gear you need, tell you a bit about the sites, take you to one to three snorkeling sites, and provide either lunch or a snack. Read carefully what is included and remember that most don’t provide towels or sunscreen, and there may or not be shade on the boat so plan accordingly. 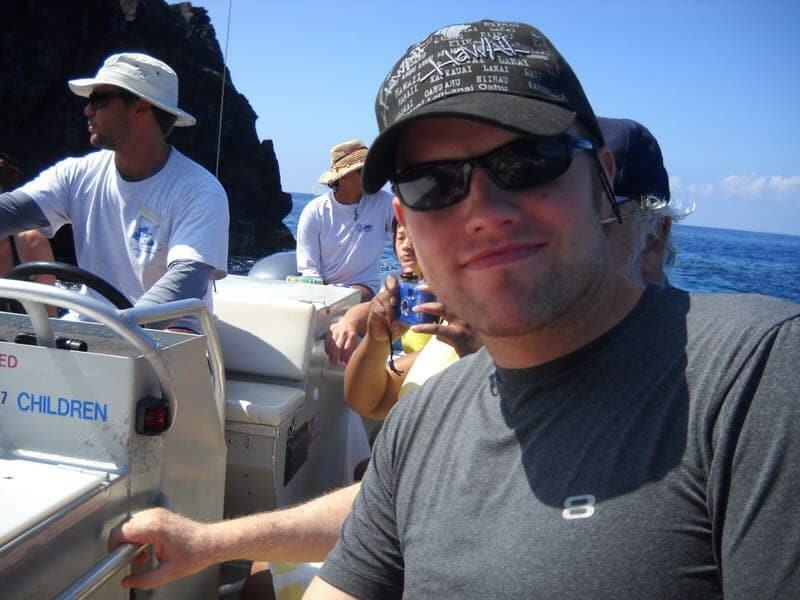 We personally have done tours with Sea Quest, and I have taken the Deluxe Morning tour twice on two different trips and really enjoyed the tour as they have smaller boats that allow them to get closer to the shorelines and get inside some sea caves. However, there are also a number of other operators including Fair Wind, Sea Paradise, Captain Zodiac, and Body Glove. If you are interested in doing a kayaking guided tour that includes snorkeling, Adventures in Paradise, Aloha Kayak Co., and Kona Boys currently are the only three listed as having permission to enter Kealakekua Bay (this list is current posted on the Hawaii State Parks website here). For the best rates, check for Internet specials, look for printed brochure tourist coupons, and inquire for specials if booking by phone. Best to book at least a few days in advance to guarantee spots, especially if you are visiting during the high season. Again, as I keep repeating, snorkeling is generally best in the morning compared to the afternoon, so try to book a morning tour if possible. If you are striking it out on your own, there are a number of places that will rent gear on the Big Island, most on the West side of the island. The basics you’ll need are a snorkel, a snorkel mask, anti-fog liquid or gel, and fins. These can generally be rented for $10 or less per day and much less if you rent for a longer period of time. Snorkel Bob’s, for instance, offers a budget adult package for $9/week! However, I would seriously recommend getting a mask and gear that fits well as otherwise you’ll be constantly getting water in your eyes and mouth and readjusting your gear which will make for a very poor snorkeling adventure. This is especially true for the mask as the cheapest masks often don’t fit well for many people. If you’re not sure how something should fit, ask the store employees to help you select the best size and show you how to adjust the gear. Some other things you might also consider are snorkeling vests (highly recommended) and a boogie board or foam noodle for better flotation. We rented from Snorkel Bob’s and found everything we needed there (except a foam noodle, which we borrowed from a local friend), but a couple of other decently priced places to consider are Miller’s Snorkel & Surf and Jack’s Diving Locker. There are many other places to rent gear as well, but if you are on a budget call or check around for pricing as some places are more convenient but more expensive. For other things you may need for your snorkeling adventures, such as sunscreen, underwater cameras, sunblock clothing, and snacks, we just picked them up from the Kona WalMart located on Henry Street. If you don’t bring a sturdy pair of reef or water shoes with you (we purchased them before our trip at a local sporting gear store), we would highly recommend them if you will be walking along areas of wet lava rock. If you are doing a guided tour, you can of course bring your own snorkeling gear, but everything you need should be included in the tour cost. However, if you have any special requirements such as a specially fitted or prescription mask, it may make sense for you to rent or buy your own. There you have it, our guide to Big Island snorkeling. You might also consider SNUBA (a cross between snorkeling and SCUBA) or SCUBA on your Hawaii trip. 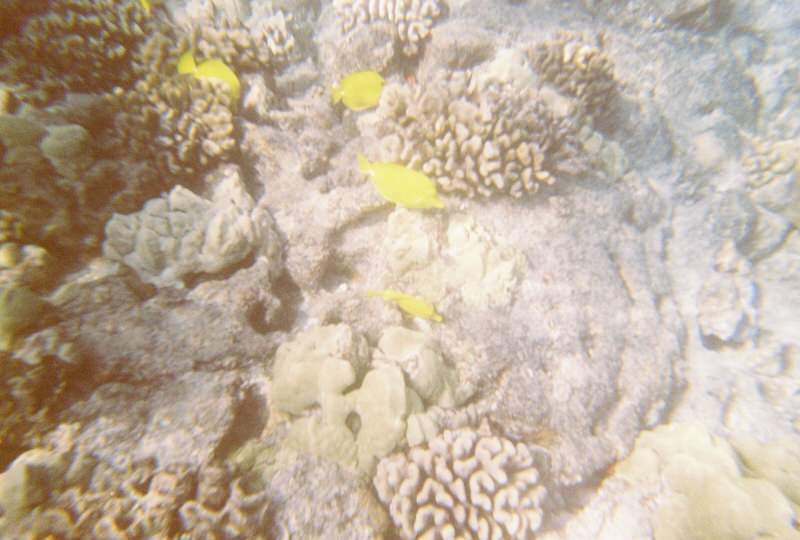 Have you been snorkeling on the Big Island of Hawaii? We’d love to hear your thoughts or tips? 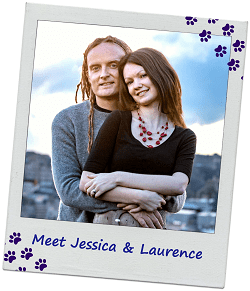 If you have questions about our experiences, we’re happy to answer them. Interested in visiting waterfalls on your trip to the Big Island, you might also like our guide to visiting the best waterfalls on the Big island. Just got back from our trip to the big Island. I thought Mauna Kea beach was the best place to snorkel as there were no crowd’s. Also a great sandy beach entry with little current to worry about. You can also swim/snorkel out to one of the two inflatable island’s the hotel has set up and snorkel right below them. Also a pretty cool swim through cave if you’re feeling up to it. Two step was nice but not too easy to get in and out of, and the water can get rough. Looking forward to going back next year. Love the photos! I think many ask about renting gear vs bringing their own vs buying. For most, renting is best but we cover all the scenarios if you’re interested. My husband and I are planning our first ever Hawaiian vacation this year. Out of everything to do in Hawaii, we are most excited to go snorkeling! Thanks for this helpful guide to snorkeling on the Big Island. 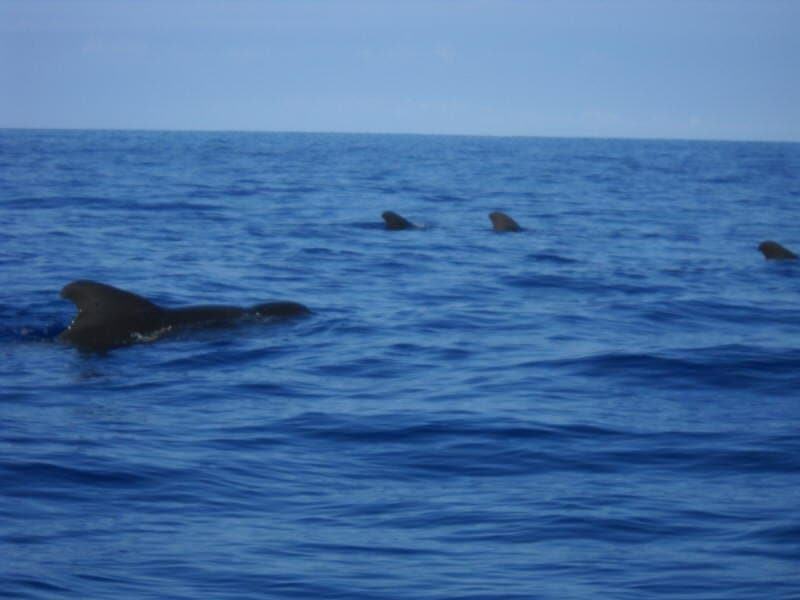 Kealakekua Bay sounds like the perfect snorkeling spot for us because we are big on dolphins as well as history. We’ll be sure to visit the white obelisk and sacred temple there, like you suggested. 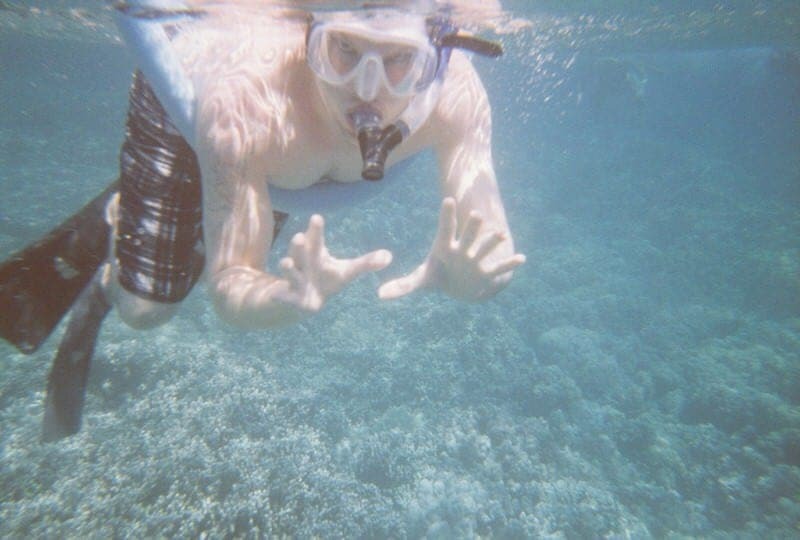 Great article on snorkeling locations in Hawaii! We loved our trip with Sea Paradise – we had a fantastic sunset cruise with them then experienced the Manta Rays close up. It’s one of those bucket list things that I had to do and was in awe of how beautiful the rays were close up. Thanks Tom, yes, the Big Island is a great place for snorkeling, especially for beginners! Glad you you had such a good boat cruise in Hawaii. Great information! 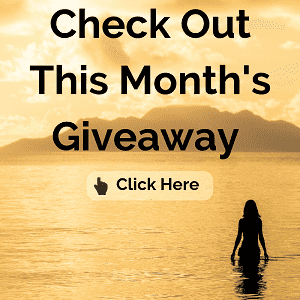 I’ve recently gotten my scuba certification and am dreaming of a trip to Hawaii – for both the scuba and the snorkeling 🙂 Thanks so much for the suggestions/reviews! Meredith, that is so exciting!! I am too scared to go scuba diving as I am not a good swimmer, but would love to some day. The Big Island is a great place for snorkeling and diving along with a ton of other fun things. If you decide to go, let me know! Seems that are blog names are almost the same 🙂 Anyway, love your place and I’m now following along via Bloglovin. Have a lovely day. Oh my, we do have similar blog names!! I will check out your blog as well, thanks for stopping by. I would love to be somewhere warm, especially Hawaii, right now! We didn’t get a chance to snorkel when we were there this summer but that just gives us an excuse to go back, right? 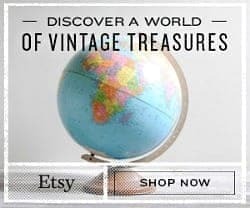 I really love all of your concise and comprehensive tips on this blog – they are really great and extremely helpful! Yeah, some people just can’t stand the mask underwater, but you can still enjoy some great beaches and still see some great marine life! No, unfortunately, we have not yet tried surfing! Ethan boogie boards and has done the standing paddle boarding thing but no surfing yet. What a great post, all of these locations look so inspiring. It’s been a longtime since we have done a proper beach holiday – it’s all been spent backpacking around europe in the past few years. Love the photography, can’t wait to go snorkelling again. Thanks, and thanks for stopping by. I look forward to checking out the giveaway. I’d love to go snorkeling, I haven’t been yet but it’s something I’m hoping to do when I leave Europe next year. I need to live close to a beach! Hi Kate, I hope you get to go snorkeling soon! Beautiful!! 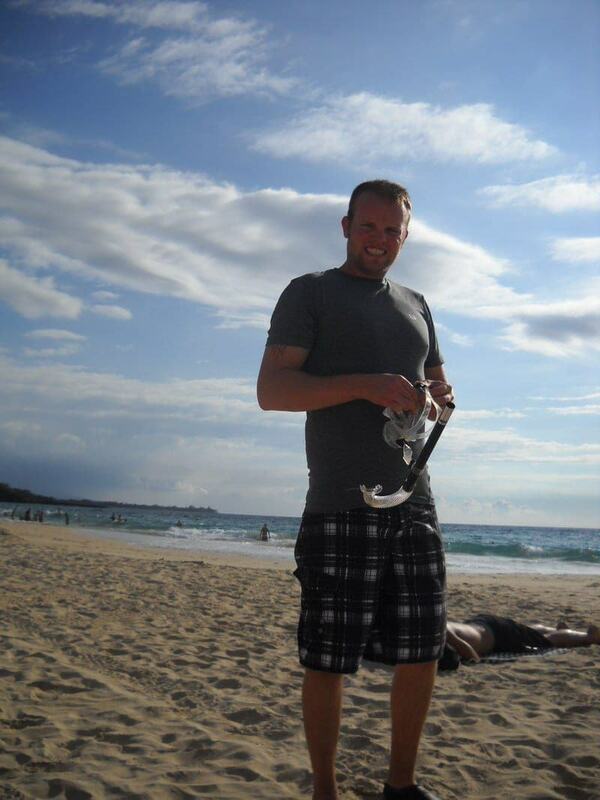 I went to Hawaii when I was 13 and SO want to go back!! And I’d love to snorkel! I’ve never done it!! Thanks for sharing! Yes, I think if you are going to snorkel some place in the U.S., Hawaii is probably the best place to do it. I hope you get to return! Great pics, you can almost feel the sun! Thanks, yes we are fortunate to have a friend on the island so I’ve gotten to visit twice. This is a great guide guide! More than anything, it makes me really, really want to go to Hawaii…I went snorkeling in Hawaii once and the BEST part was seeing the sea turtles. They’re such awesome creatures. Yes, the sea turtles are very cool. My favorite animals though were the spinner dolphins and the wild horses in Waipi’o Valley.